Earlier today I was working with an old episode of Mad Men running in the background and I noticed a quote that struck a chord with me. Kids today, they have nobody to look up to because they’re looking up to us. Of course, the world of Mad Men takes place a few decades ago, but I think this quote may finally have found its generation of truth. Those older than me – post-WWII with only vague influences from the Great Depression, post-Korean Conflict and now nearly post-Vietnam War-were never faced with a true decision between freedom and death. (I could qualify this seemingly-judgmental statement by saying “neither have I,” but that goes without saying.) Since WWII, we have seen American intervention growing increasingly futile and increasingly distant. We barely ever see news from the Middle East on the front page – it’s always buried in the paper, and we never hear of any overwhelming successes. It wasn’t until Korea that America ever lost a war. This isn’t to say that recent American conflict hasn’t been without merit—standing up for what’s right is (almost) always a good thing. But the sheer desperation, necessity, and pride that go along with fighting for a cause that really matters? That’s revolutionary. That’s what it means to be American. It seems hard to win a war where nothing in particular is at stake. And recently, nothing in particular ever seems to be at stake. Not in the sense that merits War Bonds, or dutiful contribution without even being asked. 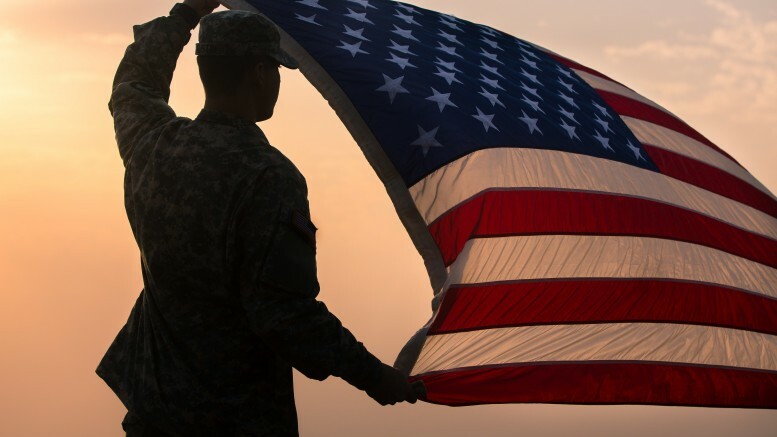 The people of the United States of America have certainly undergone the fatigue of supporting freedom internationally, but the cost has almost certainly been freedom domestically. For we do undoubtedly esteem too lightly this freedom we, in the modern generations, have obtained too cheaply. Each year the young people coming of age become ever-distanced from real all-out combat. Few are left who can accurately describe the patriotism and necessity of the wars of the past. Many battles America currently engages in are for unclear causes, at least to everyday Americans: we waged military operations in Libya for the exclusive purpose of assassinating Gaddafi with NATO’s help, but where was NATO? And what have we done sense? Why did Americans die in non-vital operations? Why are we still in the Middle East? It is clear there is much work to be done, but what progress have we made? We’ve heard many times about reducing troops in the Middle East and yet we’re still there; why? What’s the point of it all? What have we accomplished? How does this even affect us? To many Americans, constant war is a normal state. I have worked with people who don’t even remember 9/11. They have never experienced a time of peace, and since Desert Storm we’ve hardly experienced a definitive success. Kids think war is normal and pointless. How are young Americans supposed to understand the merits of freedom that people die to defend internationally if they’ve never had to fight for it so they can enjoy it personally? One of the most important problems facing modern conservatism is that it is based on principles that are no longer taught. If our parents never fought for true, American freedom and we’ve never fought for that cause, how are we expected to understand its merit? Freedom is not inherent – someone did fight for it – but if we don’t personally know someone who engaged in that fight, how can we learn the lessons? How can we understand that sacrifice? How can we determine the value? Modern conservatism is based upon two principles that are no longer imparted to our youth: the value of freedom, and the merits of natural law and religious virtues. America was founded under the assumption of Christian principles. And these principles are faltering—if not all-out failing. The generation before us taught many young Americans that faith was not a necessary part of life. Separation from faith and lack of desperation has led Americans to complacency in every value our Founding Fathers deemed necessary to the survival of this great country. America has begun to ignore the principles upon which she was founded and the results are apparent. Every day we hear about laws and cases regarding basic Bill of Rights issues. We hear about people’s rights being limited and infringed upon. But how can we expect Americans to cherish rights they have never fought for? But men are not angels and they are growing increasingly un-angelic. Self-control is not valued and, therefore, governmental control is not appreciated or expected. Inevitable as this demise may be, how were we to prevent it? Perhaps we owe it all to our parents who were never challenged in their freedom, or to ourselves who were equally never confronted. After all, as I am among the older young-Americans; I wouldn’t want to have me as a role model. What have I ever done? Nothing in particular. Perhaps the real question is: who will defend what America stands for? Not promoting the international democracy, we are currently trying and failing, to deploy throughout the world, but right here at home where our own rights are slipping away from us. I hope and pray, even without an inspirational individual to admire, the answer isn’t no one.